Discovering that your baby is in a breech position during the later stages of pregnancy can be quite a shock. Depending on your healthcare provider, and whether you are seeing an obstetrician or a midwife, you will either discuss trying to turn your bum- or feet first baby head down, or will start planning a c-section right away. What is the big deal with breech babies? Should you try to turn your breech baby vertex (head down)? Is delivering a breech baby vaginally dangerous? Not too long ago, breech deliveries were seen as a variation of normal by most medical professionals, including obstetricians. In some countries, vaginal breech deliveries are still the norm, but in many Western countries cesarean sections have now become the preferred delivery method for babies who are not positioned to be born head first. The reason for this is that breech births have a slightly higher chance of complications, such as compression of the umbilical cord (during which the baby cannot receive enough oxygen) and broken collar bones. Most babies move around a lot in the uterus up till the last trimester of pregnancy, only to turn head down as they get too big to move much, and are preparing for birth. Some babies settle into a breech position instead. There are various methods suggested that can help breech babies turn vertex. These range from simple things you can do yourself, like going for regular swims and crawling around on all fours, to invasive medical procedures like an external cephalic version, which we will discuss in a separate post. Alternative medicine also has techniques to turn breech babies, including acupuncture. In the United States, simply planning a cesarean section for a breech baby is the most common approach. While it is true that breech babies have a higher instance of birth complications, it may be helpful to bear in mind that c-sections themselves also carry risks, including a higher instance of maternal death, and breathing difficulties for newborns. Vaginal breech deliveries are often not a viable option, however, because most obstetricians are simply unwilling to attend such births. Also see, can you give birth vaginally after a c-section? and choose midwifery, avoid a c-section. 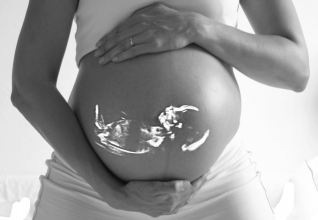 Comments and reviews on article "Cesarean Delivery Risk Factor"